Buy your friends and loved ones the gift of health and wellbeing by purchasing a £39 Lushington Chiropractic gift certificate that can be used towards a consultation or treatment plans. Simply select the voucher you require from the dropdown list below and then hit the Buy Now button. If you're looking for a chiropractor in Eastbourne and you choose us, then we'll do everything we can to meet your expectations and help you with professional and genuinely caring treatment and advice. As part of our commitment to genuinely helping you we have a no-quibble, Money Back Satisfaction Guarantee. You can also read more about our serious and genuine commitment to providing the best possible professional and ethical chiropractic care to everyone who sees us by reading our unique Chiropractic Patient's Charter. We're based in Eastbourne town centre, open early to late with our own off road parking. To book your chiropractic consultation just call 01323 722499. Simply show this page to the receptionist after your chiropractic consultation and they’ll get you an ice pack worth £7. You can use the ice pack many times as it re-freezes. You can use this offer in conjunction with the Facebook Fans £5 Discount, the FREE Back-Care Talk and FREE Report of Findings all detailed below – but not with any other money-off or discounted special offer. Join over 1,000 other people and LIKE our Facebook Page and get £5 off your first visit. 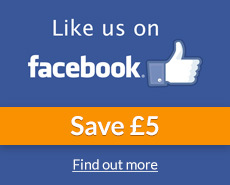 LIKE our Facebook Page before you see us and you'll get £5 off your chiropractic consultation when you attend. You must have LIKED our Facebook Page before the consultation and you must mention this, and ask for the £5 discount on the day of your chiropractic consultation. This Facebook fan £5 discount is available to all ages. For children and babies the £5 discount will be applied to your child or babies chiropractic consultation fee if a parent LIKES our Facebook page. Check out our fees page for a complete review of our chiropractic fees. You can use this offer in conjunction with the FREE ICE pack offer this month, the FREE Back-Care Talk and FREE Report of Findings detailed below, but not in conjunction with any other offer. Check out our Facebook Page here. We often post topical health tips on our Facebook Page with competitions and updates on any clinic discounts as well. We want you to get better, to achieve your goals and stay better long term. To help this we’ve developed a self-help back-care class which we make available to all our guests (patients). You’ll be welcome to attend one of these self-help talks for free. Top 3 things not to do after your chiropractic treatment! The classes are normally run on a Wednesday at lunchtime or in the evening. Although we hold these classes weekly, due to popular demand we have to limit the numbers. Please call and our reception team will be happy to book you on the first available class. If you subsequently find you can’t attend, please call us so we can release that’s place for someone else. The classes are always lead by a qualified, registered chiropractor, and are based at our Eastbourne town centre chiropractic clinic. If you’d like to find out more about chiropractic, the clinic and how you can help yourself then please call the clinic on 01323 722499 and ask to book in for one of our Back Care classes. Although we’ve seen over 10,000 local people we know that lots of people are still not sure what chiropractic is, what happens in a visit or if chiropractic treatment if right for their condition. That’s why we offer a complimentary chat to anyone who has questions or wants to meet the chiropractor first before making any decisions. We have a lovely team of chiropractors, so if you’re from the Eastbourne area and are looking for a chiropractor they’ll be happy to help. You’ll find the chiropractor honest, open and helpful. If they don’t think they can help they’ll suggest who is best to see. We believe that most of our new patient’s are recommended to us because of our high standards, honesty and we genuinely care about you and what we do. What's the difference between a chiropractor and an osteopath? Do I need massage, acupuncture or chiropractic? Is treatment safe for me with my specific medical condition? Some people choose to have a complimentary chat with the chiropractor to meet them before deciding whether to go ahead. You’ll find the chiropractor caring, open and professional. 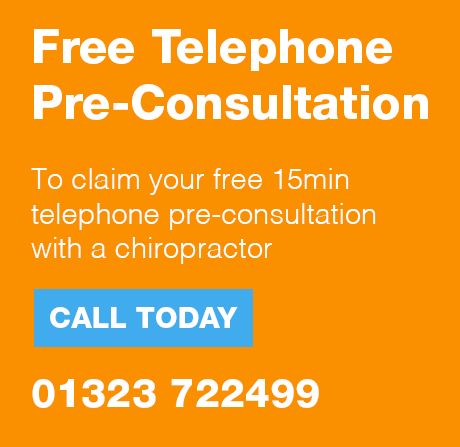 Call and book your complimentary chiropractic chat now 01323 722499. You’ll find that at Lushington Chiropractic your chiropractor will cover a lot in your New Consultation. You’ll find they are very detailed and thorough. Often people are surprised at how much we do. Some people even need x-rays if clinically indicated as part of their chiropractic assessment. You’ll find that our chiropractors will be happy to take time with you to explain their findings and what’s going on with you. As reflected by our unique Chiropractic Patient's Charter our focus is on caring for and helping you as an individual. Although it takes time to review our findings, we don’t think you should have to pay for your Report of Findings. If we’re not able to complete your Report of Findings in your Consultation visit then don’t worry, they’ll be no charge for it when you come back. In your Report of Findings your chiropractor will explain all their findings, your diagnosis, what treatment would be best for you and how quickly you’re going to get better. Your chiropractor will carry out all this explanation for FREE at your Report of Findings. They’ll either cover it all within your consultation or on a separate visit depending on what’s appropriate in you case and how much time they need for you. If it’s a separate visit you won’t pay for that visit, unless you then decide to get started with treatment, in which case it’s the usual £39 treatment fee. Tel :01323 722499 Copyright © 2011/12. All rights reserved.